21 Nov 2016 Washington, D.C.
Texas Representative John Culberson (R-TX) used his position as chairman of the House Appropriations Subcommittee on Commerce, Justice, and Science, and the congressional power of the purse, to force the Department of Justice (DOJ) to enforce existing law. Culberson announced in February an agreement with outgoing Attorney General Loretta Lynch to block federal law enforcement grants to jurisdictions with sanctuary policies, Breitbart Texas reported.Since that time, the Texas congressman has been working with DOJ officials to certify the top-ten jurisdictions whose state and local law enforcement agencies are not cooperating with immigration officials. The law was passed in 1996 during the administration of President Bill Clinton to force local and state jurisdictions to cooperate with immigration officials or risk losing federal funding. Part of the process requires the federal agency’s office of inspector general to certify that a jurisdiction is not in compliance in order to block funding. 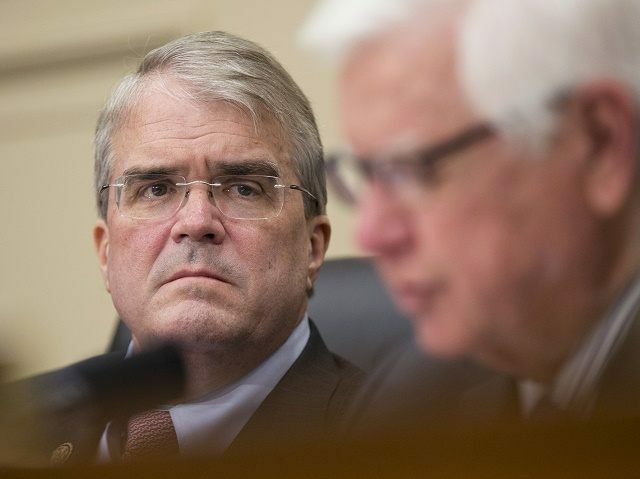 “The law requires cooperation with immigration officials 100 percent of the time,” Culberson told Breitbart Texas in an exclusive interview. In February, Culberson provided Attorney General Lynch with a list of more than 300 sanctuary cities compiled by the Center for Immigration Studies. From that list, the Department of Justice’s Office of Inspector General compiled a top-ten list of sanctuary jurisdictions. Those jurisdictions receive about 65 percent of federal law enforcement grants managed by the DOJ he said. Those jurisdictions include the entire states of California and Connecticut; Orleans Parish in Louisiana; New York City; Philadelphia; Cook County, Illinois; Miami-Dade County, Florida; Milwaukee, Wisconsin; and Clark County, Nevada. These jurisdictions have received more than $342 million in federal payments. The 16-page report from the inspector general’s office was completed in May 2016, but was initially marked as “Law Enforcement Sensitive,” Culberson told Breitbart Texas. This marking prevented making the information public. Since that time, he used his power over the agency’s budget to force the inspector general to remove the classification. This was accomplished late last week, the congressman said. He stated that the DOJ has notified these jurisdictions that unless they become 100 percent compliant with the law, they will not be eligible to receive these grants for the next fiscal year. The grant process begins in January 2017, Culberson explained. “The applications are taken in February and March and the awards are announced early in the summer months,” he stated. Culberson said the action taken by the DOJ sets a precedent that can be used by other agencies to cut funding to sanctuary cities and other similar jurisdictions. “The days of receiving federal money while protecting illegal aliens are over,” he said. In addition to blocking future federal grants, the incoming administration can use this same law to recover funds that have already been paid to these jurisdictions, the congressman explained. “This means, the State of California could be forced to repay the more than $3 billion in grants received over the past 10 years,” he told Breitbart Texas.